In a small Californian town, Dr. Miles Bennell (Kevin McCarthy, Innerspace) is confused by a common complaint among his patients: they insist that their relatives and friends are impostors. At first, Bennell thinks this is a case of mass hysteria, but he soon realizes that something more nefarious is at play here. 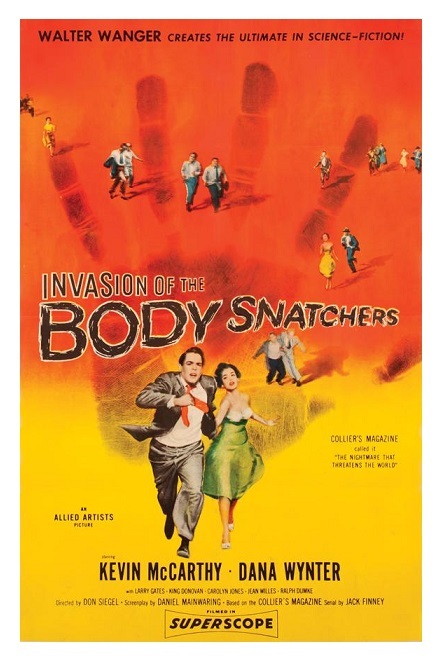 Invasion of the Body Snatchers is one of the key films of the ’50s. This landmark film took horror out of old castles in Transylvania and dropped it in the middle of a picture-perfect all-American town, where it belongs. This is where modern horror begins; from this point forward no place was safe, not even a sleepy rural town. Tautly directed by Don Siegel (Dirty Harry) from a screenplay by Daniel Mainwaring (Atlantis, the Lost Continent) based on Jack Finney’s 1955 novel The Body Snatchers, Invasion of the Body Snatchers was meant to be nothing but a cheap drive-in fodder, but today this is one of the most discussed productions of the era. The flashback framework was imposed by the studio. I’ve seen the movie without these scenes and it is even scarier that way. The studio wanted a more hopeful resolution — money people never like depressing stories. However, no matter what version you see, the movie works marvelously well despite a shoestring budget. The film moves very fast so there is a sense of urgency that enhances the atmosphere of paranoia. The practical effects — the gooey doubles are icky! — still have the power to spook you. I also loved Ellsworth Fredericks’s (Sayonara and Seven Days in May) expressionistic camera work and Carmen Dragon’s (Dishonored Lady and Kiss Tomorrow Goodbye) edgy music score. The acting is good too. 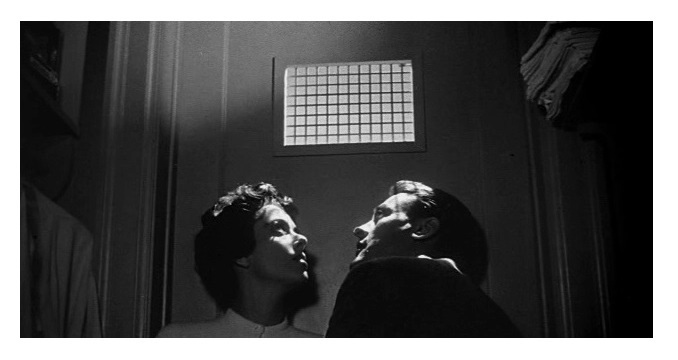 McCarthy is terrific — the actor conveys convincingly the proper amount of anxiety as he uncovers the mystery. Dana Wynter (Airport) and Carolyn Jones (Morticia, TV’s Addams Family) are excellent scream queens. Director Sam Peckinpah (The Wild Bunch and Straw Dogs) has a bit as a gas man. 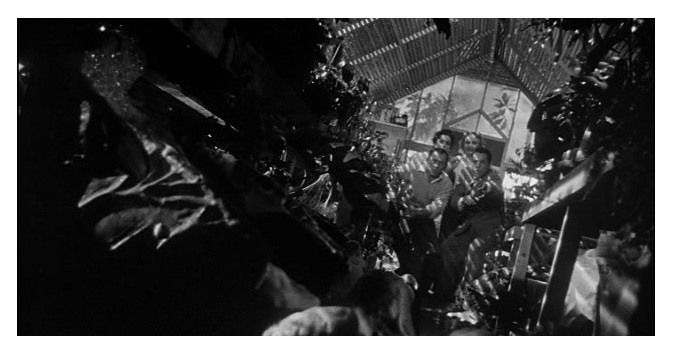 Invasion of the Body Snatchers is a great little movie to watch late at night with the lights out. 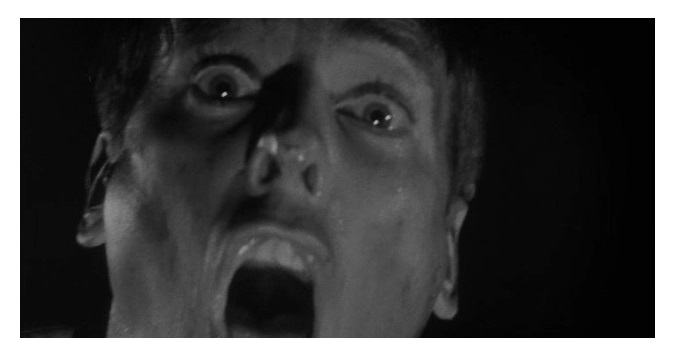 Remade three times, so far: Invasion of the Body Snatchers (1978), Body Snatchers (1993), and The Invasion (2007). B&W, 80 minutes, Not Rated. A top film that appeals to all kinds of viewers, not just sci-fi fans. The tension and paranoia are palpable and, as should be the case, it works equally well even if one is unaware of the allegorical political message. Yes, you don’t have to know anything about the film to enjoy it. Nice. I have not seen this and haven’t seen the 70s version with Donald Sutherland. I’d like to compare the two to see who wins…. I love the 1956 and 1978 versions. I have huge problems with the 1993 and 2007 remakes. I feel stupid. They made a 93 and 07 remake? Wow. A good account of a great movie — many thanks. I’ve quite often seen this listed as a film noir, but I’ve never been able to understand that, myself. The 2007 remake is painful, but the 1978 version is creditable. Heresy though it is to say this, possibly my favorite of them all is Abel Ferrara’s 1993 outing — at least in part because of Gabrielle Anwar’s spectacular rendition of a teenage brat, but there’s more to it than that. The 2007 remake is indeed a mess. I love Abel Ferrara, but I think his version has more than a few problems. It has good acting and neat effects, but I didn’t like the military setting. I was unfazed by it, which may be the difference! I do have to rewatch it since I admire Ferrara. If I am not mistaken this film was a very loose basis for Robert Rodriguez’s ‘The Faculty’ as well. I quite enjoyed The Faculty. I think you are right — it is a homage to the original. I am in Paris and i have a theater near where I live, so every Thursday they show a cult film this was one one them so I got to see it on the big screen. I have it in my collection I saw it 3 times and it is still great of course. I taped it when it was on TCM before I left the state. Seeing it on the big screen was the coolest thing. WOW! I envy you! I would love to see it on the big screen. Art houses are disappearing in USA. That’s too bad because it is great to experience old classics on the big screen. I’ve never seen this version (and I call myself a classic movie blogger – sheesh! ), and your fab post has made me realize I’m missing out on a cult classic. I did see the later version with Donald Sutherland in weird permed hair. I think the 1956 version would be a better choice. Aargh! Not my wide: my wife. You know, I saw the trailer (for The World’s End), and I said to myself, “this looks familiar.” I couldn’t put my finger on it. I haven’t seen the movie yet, but what you say makes sense. BTW, I thought Hot Fuzz was a loose remake of the 1973 horror movie The Wicker Man. And, of course, Shaun of Dead is a homage to Romero’s zombie films. The boys clearly love old horror movies!